That was winter 1980 in a city that no longer exists today. Well, it does exist, but not its name, East Berlin. This is the real story of how I found myself in a city surrounded by razor wire and land mines. 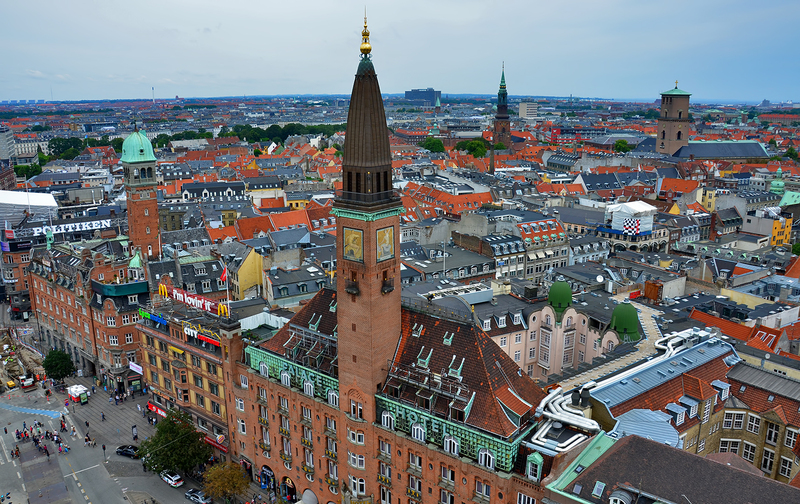 I spent my final year of college in Copenhagen, Denmark, a fantastically beautiful city, full of charm and history. In between semesters, many of the foreign students traveled, bought ridiculously affordable Eurail passes and used them to go as far and as wide a possible during the two week break. I went with a friend to Germany, along the Rhine visiting castles and breweries. We parted ways to travel alone and increase the adventure. You meet people when you travel alone; you have to, or you go crazy. I learned quickly that language isn’t the biggest barrier to communication, fear is. I found that if you try to talk to someone, whether you know their language or not, you can communicate pretty well. So somewhere in Western Germany at a youth hostel on my winter break, I decided to go to Berlin. Sounded good, why not. After World War II, Germany was divided into two countries, West Germany and the DDR (Deutsche Demokratische Republik), or East Germany, as everyone outside of the country called it. They were still divided in 1980 and I wanted to see the scary half. West Germany was like the rest of Europe, easy travel, friendly people and they honored my Eurail passes. 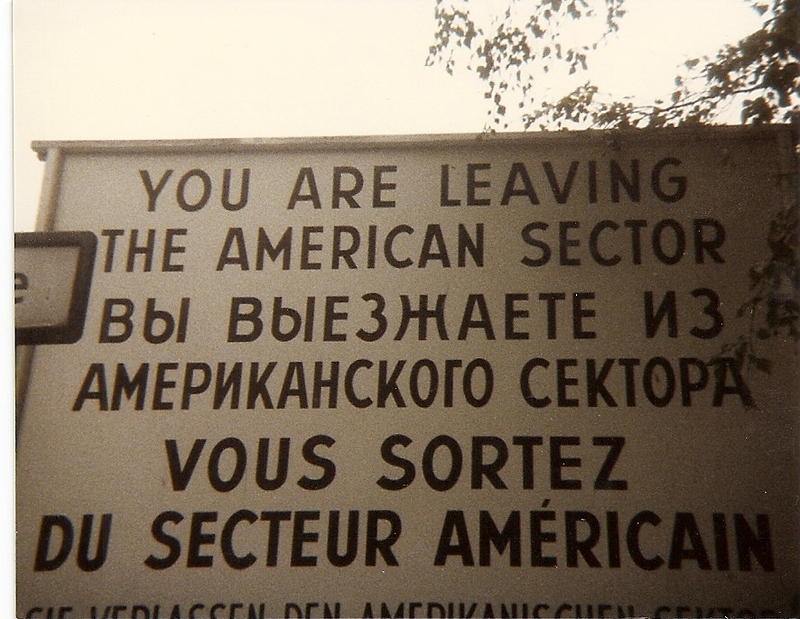 But East Germany was verboten, off limits, a Soviet state, unknown and tempting. So crazy 20 year-old me had to go. By this point in my European travels, I had been to Poland, Hungary and Yugoslavia, also Soviet block countries. I didn’t know it at the time, but I think I had a sense all of this would disappear in time, the separateness, the old countries held onto with the iron grip of the USSR. And I wanted to see it before it went away. 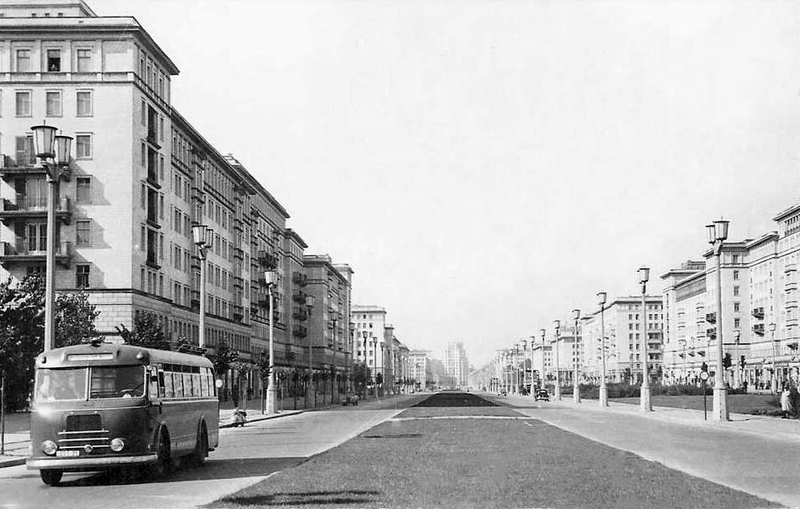 Berlin, the giant decadent German metropolis, was also split into East and West, a city arbitrarily cut in half. The strange thing about this arrangement was that West Berlin being in the Eastern part of Germany was surrounded by East Germany, essentially an island in another country. 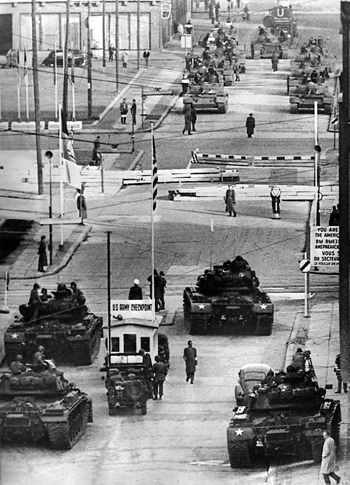 So when I and my fellow travelers took the train from Western Germany to West Berlin, we traveled through miles and miles of East Germany. The train was like a space craft, rushing through the forbidden void, where we were allowed to breathe the air, look out the window, but nothing more. The train stopped just before entering Berlin in a kind of special security station. The doors were not opened and no one was allowed off the train. Soon, black uniformed police officers and dogs (yes, German Shepherds) worked their way through the compartments, inspecting bags, lifting seats and pulling parts of the ceiling down looking for illegal and smuggled substances, drugs I assumed, since I didn’t speak any German. After an hour or so of this unnerving experience, the train continued on to Berlin. It was about 4 in the afternoon, in late December, and like most of Central Europe in the winter, dreary and cold, but it wasn’t dark. Berlin was brilliantly lit and lively. That was a long time ago, but I assume it is even more so today. 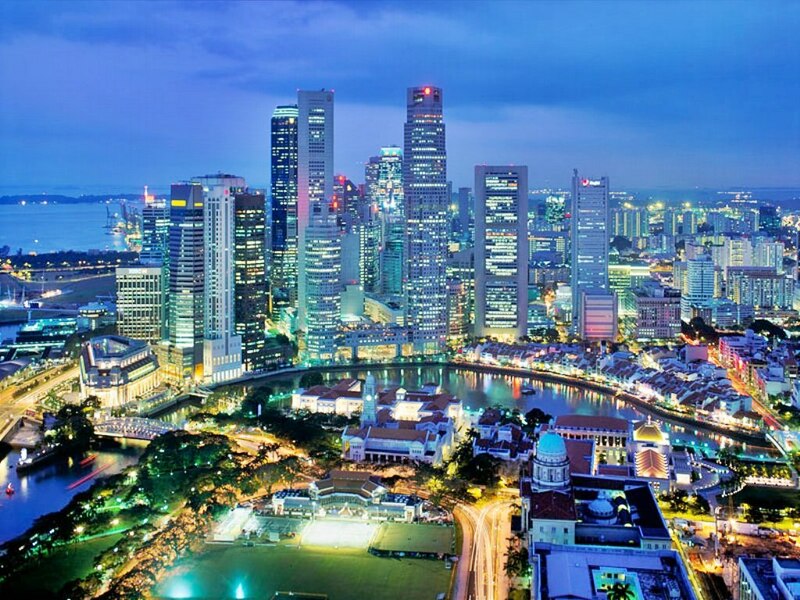 A big lively, energetic city in the middle of this other country. It was a strange feeling, like they were trying to make up for their oppressed brethren by being even livelier than they had to be. “Party like it’s 1999” and all that. I didn’t have much money, so I stayed in some youth hostel or cheap hotel. The next day, I went to the American Embassy to get a visa to visit East Berlin, that’s why I came all this way after all. The young woman at the window asked me why I wanted to do that, did I have family, business, diplomatic interests? Nope, I just wanted to see it. “Are you sure?” She asked. “Yeah, I’m sure.” I replied, not at all sure. I gave them the $25 and got a huge colorful stamp in my passport that allowed me 24 hours in East Germany. “Be sure to be back before your visa expires.” She warned me. “What happens if I don’t make it in time?” I asked. “Just be back.” She said seriously. Of course, I didn’t have a car and you can’t exactly hitch-hike across a mine field, so I walked. This part of my travels was worth the entire trip. Forget East Germany, Berlin, lights, and whatever was on the other side of that high cinder-block wall, just walking through a military check point will satisfy almost any travel junky. If you are under 40 years old, you may have no idea what I’m talking about, but try to understand, West Berlin was big and exciting, tall buildings, music, food, beer, you know, a modern energetic city. And East Berlin was the complete opposite, gray and dark, no lights, low rise, oppressive Soviet style buildings and probably (just to torture the Germans) bad beer. Berlin is built on a slight hill, West Berlin was on the upper slope, so those in the Eastern half could see it, look up at all that shiny fun, they just couldn’t get there. That was just cruel. 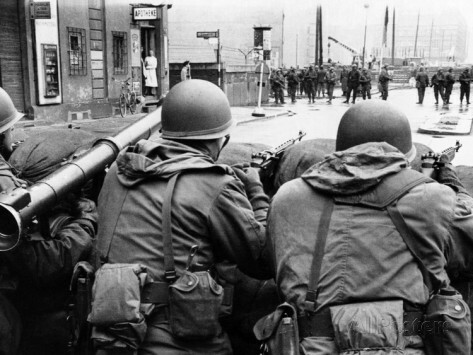 Friedrichstrasse or Checkpoint Charlie was one of the pathways from West to East. That’s what it was called before they pulled it all down and rejoined the two German halves back together in 1990. The two cities were divided by a tall, ugly cinder-block wall covered in graffiti on the eastern side. It was topped with razor wire and broken glass. After that, a wide, dead stretch of land filled with land mines ended in a tall chain-link fence, and also topped with razor wire, and you were on the western side of the city. Every 100 feet or so, a tower rose along the fence, each housed with soldiers armed with search lights and automatic rifles, and probably heavier weapons. Imagine guards in a prison tower and multiply that by 10. Checkpoint Charlie was the route through this dead zone. It was designed for vehicles, zigzagging, so you couldn’t force your way through. As I walked through this maze of soldiers and concrete, my visa and passport was checked three times. I was frisked, smelled by dogs, asked several times what my business in East Berlin was, and reluctantly allowed into the other side. Suddenly, and anti-climatically, I found myself in East Berlin with no plan, and no idea that my American passport with its current and legitimate visa was probably worth killing for. Only looking back now, do I realize how foolish and dangerous my actions had been. 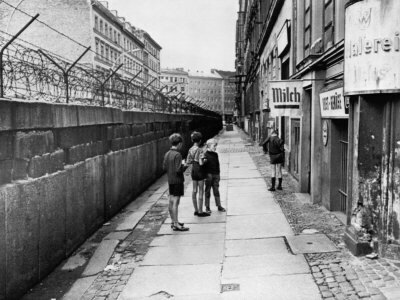 That scary wall and field of landmines was there for a reason, and people died regularly trying to cross it into West Berlin. But God protects children and stupid tourists. They made me convert 100 of my precious US dollars into East German Marks. Two problems with that, 1) nothing to buy, and 2) you couldn’t take the currency out when you left. This was becoming an expensive trip for a poor college student. But I plunged on, there must be something to do here, it was a pretty big city after all. I walked into the bleak streets of East Berlin, heavy dark buildings greeted me on the wide boulevards, but there are no shops or restaurants, and more strange than that, no people. Everyone must be inside hiding from the KGB or something. I walked on, but the landscape didn’t change much and it was cold. No benches, no cafes or bookstores, no castles or even churches. This is where bad tourists go after they die, those who didn’t lead a good enough life to get into Paris. I looked back and there was West Berlin rising above on its hill, all lights and fun, and more importantly right now, food. A little bored, but not ready to give up, I walked on. That’s when the stranger passed me. “Go home, this place is not for you.” He said in a thick German accent, gone before I even understood what he had told me. In that moment, I realized where I was and what danger I might be in. This stranger, too afraid to even slow down and talk to me, had warned me. It was like a scene out of a Cold War spy novel. I immediately turned around and walked back toward the transfer building, constantly looking over my shoulder, starting at shadows or any stray movement. An hour later, I arrived, relatively safe in the eastern check point building . There were lots of soldiers, and thankfully a diner. I spent as much of my play money on the food as I could. Unfortunately, it was as cheap as it was terrible. I gave up and went back through Check Point Charlie, somewhat disappointed and tired. The thing about travel adventures is that they are always better in remembrance than at the time. I didn’t really give the experience much thought in my two days in Berlin, but only later when I saw myself standing in that empty bleak city with the gray sky. Everything about it was oppressive, as if it were designed to crush the spirit of all who lived there. I’ll never forget the feeling of that city, or the man’s voice who warned me. I told you this story so I could explain where ideas come from. This experience gave me the idea for a short story I titled, Gray, which I wrote 30 years later. While writing it, I hadn’t realized where I had seen the gray city or the steel sky of my story. But it had stayed in my consciousness, all those years, like a seed waiting patiently to germinate. That year, I wrote eight more short stories and combined them into a book called Colors. 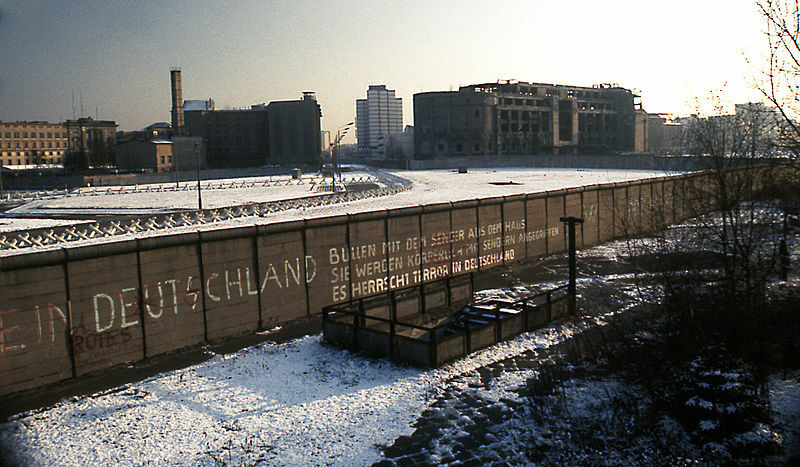 Only looking back now, as I write this, do I realize that all of it, the experience, the stories, even this essay is an attempt to understand and describe the feeling of East Berlin on that winter day, so long ago. So well written. A gripping story. I have heard that story many times, but without the detail. Now all I can say is WTF were you thinking? ?